Have you ever read a book synopsis that sounded so absurd you couldn’t bring yourself to try the finished product, even if it was written by a favorite author? With all due respect to Robert McCammon – whose work I love – I felt this way about The Wolf’s Hour when I first heard about it a decade ago. I finally relented four years back, purchasing a copy against my better judgement, only to let it languish in my book pile, collecting dust. Read this and tell me I’m not right: The Wolf’s Hour tells the story of a British spy who is challenged with gathering intelligence about a secret Nazi project. So far, so good. Their plan, it turns out, is the development of a weapon that will be used to thwart the eventual Allied invasion of Europe. Sounds even better, right? Oh, and one last thing about the plot? The spy is a werewolf. I mean, seriously. A thoroughly engaging and realistic backdrop for a story, and the main character is a damned werewolf?! There is simply no chance the tale could work, right? While I certainly haven’t read every book in the subgenre, I’ll go out on a limb and say The Wolf’s Hour is likely the best werewolf novel ever written. Beyond that, it’s now one of my favorite books of all-time, regardless of genre. 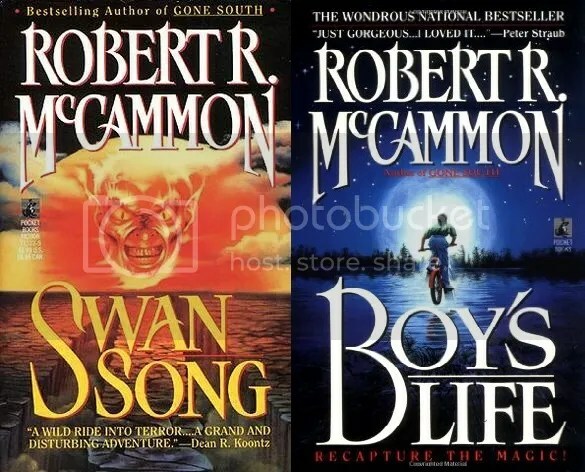 Despite the McCammon books I’ve read being uniformly excellent — two of which (Swan Song and Boy’s Life) are considered classics of the horror/suspense genre – this is something I never would have believed going into it. As stated above, the novel tells the story of Michael Gallatin, a Russian citizen turned British agent in the years leading up to WWII. At the open of the book, Gallatin is in a self-imposed retirement after things didn’t go well during a mission in North Africa. Not wanting to get back into the fight, yet unable to ignore the threat of a Nazi superweapon, Michael agrees to be parachuted behind enemy lines to learn about the Germans’ plot. The story alternates back and forth between Gallatin’s mission in Germany and his childhood in Russia, when he was a young boy named Mikhail Gallatinov. It is during the flashbacks that we learn how Mikhail’s family was murdered while picnicking, as well as how he became a werewolf. 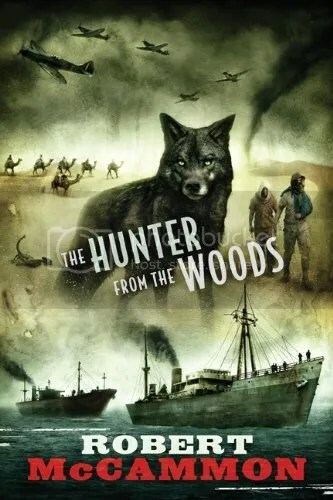 I’ll never be able to review the storyline in a way that doesn’t sound hokey, but Mikhail’s addition to the wolf pack, his eventual metamorphoses back and forth between human and werewolf, and his history with the other wolves is both fascinating and addictively readable. Overall, it is my experience that flashback scenes tend to take away from the pace of the main story, but in this case I found the flashbacks to be as good, if not better, than the present-day conspiracy Michael was working to uncover. That’s not a knock on the overarching WWII storyline. Far from it. It is during these scenes that McCammon ratchets up the tension, adventure, and out-and-out brutality the Nazis perpetrated against the people they ruled over. There are numerous instances that evoke disgust and contempt, from a long section that takes place inside a concentration camp to a disturbing “theatrical” presentation in which high-ranking officials watch an hours-long cavalcade of brutality on stage. There is also a harrowing segment in which Michael has been captured by a Nazi sympathizer and is made to partake in his captor’s fiendish obstacle course aboard a train. While these are the scenes that stand out as unforgettable, the action when Michael and his compatriots weave their way through France and Germany, evading capture and facing numerous life-and-death scenarios en route to the exciting finale, make for an epic tale that stands head-and-shoulders above most offerings in the genre. The Wolf’s Hour seemed like a ridiculous premise, but I could not have been more wrong. I have no qualms whatsoever in giving the book a 10 out of 10, earning my highest recommendation. This is one case I’m happy to have egg on my face and admit my mistake in hope you’ll give it a try; I think you’ll find yourself wildly entertained and begging for more if you do. p.s. For those wanting more of Michael Gallatin’s adventures, a few years back Subterranean Press released a compilation of short stories and novellas surrounding the character. Check it out at Amazon or Barnes & Noble for ordering info.